London is home to some of the most iconic attractions in the world, from historic landmarks such as Buckingham Palace and the Tower of London to more recent constructions like the O2 and the London Eye. Here we pick our top 10 must-see attractions for London visitors. Taller than Big Ben and more popular than any other paid-for London attraction, the London Eye offers the most spectacular views of the city, with visibility of up to 40km in all directions. 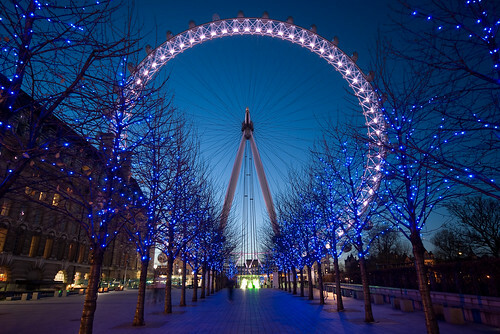 Originally built as a temporary structure, the Eye has proved so successful that it has just celebrated its 10th birthday and looks set to remain one of the best-loved landmarks on the London skyline. It is impossible not to be drawn in by the (often grisly) history of the Tower of London. See the spot where Anne Boleyn was beheaded, the infamous White Tower where Richard III imprisoned his young nephews, and, of course, the Crown Jewels, still proudly in place despite the best efforts of Colonel Blood in 1671. It’s well worth employing a Yeoman Warder as your guide - they're often as entertaining as they are informative. Often confused with London Bridge - probably because it looks so much more impressive - Tower Bridge is one of the most ingenious examples of Victorian engineering. The lifting bridge was designed in 1884 to allow large ships to pass unobstructed along the Thames. It is still raised and lowered two or three times a day and is just as awe-inspiring today as it was when it was first built. The bridge also houses an excellent exhibition about the history and mechanics of the bridge and offers fantastic views of the city from its high-level walkways. Christopher Wren’s masterpiece has squatted imposingly in the City of London for the past 300 years. It famously withstood the bombardment of the Blitz and has become something of a monument to the determination and resilience of London and Londoners in general. Visit the cathedral to admire its architectural splendour, its crypt - including Nelson and Wellington’s tombs - and marvel at the uncanny acoustics in the famous Whispering Gallery. The Southbank Centre started its life as the main exhibition forum for the Festival of Britain - the post-war cultural extravaganza held on the south bank of the Thames in 1951. It is now one of the most celebrated and diverse arts and entertainment hubs in the world. You can see exhibitions by internationally-renowned contemporary artists at the Hayward Gallery, classical music concerts in the Queen Elizabeth Hall and Purcell Rooms, and everything from hard rock to minimalist jazz at the newly-revamped Royal Festival Hall. Dine in the impressive Skylon restaurant or simply come along to admire the robust 1950s architecture and soak up the atmosphere. There’s no better way to see the sights of Britain’s capital than from the Thames. Taking a boat trip on the Thames is a must for any visitor to London and one of the most unique Thames boat trip experiences can be had on the London Showboat. The London Showboat gives you the chance to sit back and enjoy a four-course meal accompanied by live songs from top West End musicals as you drift past the Houses of Parliament, St Paul’s Cathedral, Tower Bridge and more. And after the cabaret has ended, you can dance all the way back from the Thames Barrier to Westminster Pier. Part of the National Maritime Museum in Greenwich, the Royal Observatory is home to the National Meridian Line. This line officially separates East from West at Longitude 0º and is known as the ‘Prime Meridian’. It also represents the official centre of world time - Greenwich Mean Time. By placing your feet on either side of the line, you can stand in both the eastern and western hemispheres simultaneously. The Observatory also has a cutting-edge planetarium, some of the oldest timekeepers in the world, and the UK’s largest refracting telescope. Who would have thought five years ago that the white elephant known as the Millennium Dome would go on to become one of the biggest, most successful entertainment complexes in the world? Besides the 23,000-seater arena - which has hosted mega-stars such as Prince, Kylie Minogue and Lady Gaga as well as international sporting events - the O2 also houses a smaller live music venue, an exhibition space, a three-storey nightclub, an 11-screen cinema and a plethora of restaurants serving everything from steak to sushi. Once a royal residence, the Palace of Westminster - more commonly known as the Houses of Parliament - has been the seat of the British Government since the 16th Century. Visitors from all over the world can visit Parliament to attend debates, watch committees and tour its labyrinth of ancient, Gothic and modern buildings, including the Clock Tower affectionately known as Big Ben. If you have never been to London before, a visit to Her Majesty’s place of residence is a must. Of the Palace’s 775 rooms, only the 19 State Rooms - used by the Queen and her guests for official and state entertaining - are open the public, between August and September each year. These are well worth seeing as they contain some of the greatest treasures from the Royal Collection, including paintings by Rembrandt, Rubens and Canaletto, sculpture by Canova and priceless pieces of porcelain and furniture. Visitors can also take a stroll around part of the Palace gardens during the Summer Opening weeks.